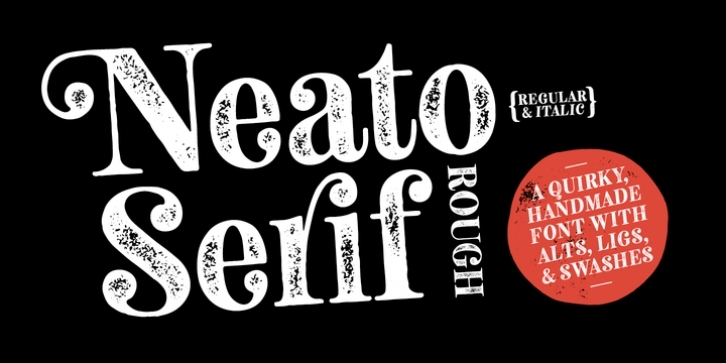 Neato Serif Rough is a hand drawn, quirky serif font with a textured, letterpress appearance. It features stylistic alternates, standard and discretionary ligatures, and swashes to add options and flair to your typography. 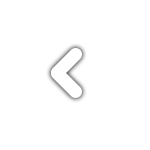 The typeface has a unique blend of sophistication with it’s high contrast of thicks and thins and also playfulness with the distinct ball terminal characters-especially evident in the lowercase “e”. It is slightly condensed and great for display headlines, titles, packaging, branding, and more. Features include: stylistic alternates for more options; swash characters for more personality in both upper and lowercase; standard ligatures for classic combinations like “ffi” and “tt” and more; discretionary ligatures for playful combinations like “ri” and “gi” and more. 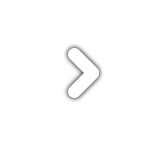 All alternates, ligatures, and swashes are PUA-encoded for more accessibility in a variety of programs. This font has extensive Latin language support for Western, Central, and South Eastern European with over 500 glyphs in each font. This is the textured companion of the original Neato Serif font family.